Being one the most successful franchise in the video games industry Super Mario gathered millions and millions of fans all across the globe, yet until last year all Mario titles were released as a closed loop meaning you could only enjoyed playing these games if you previously owned a Nintendo console. With Super Mario Run being published for the mobile platforms such as IOS and Android, the Japanese company finally made the step that many were waiting for a long time now thus delivering Mario to a larger audience. 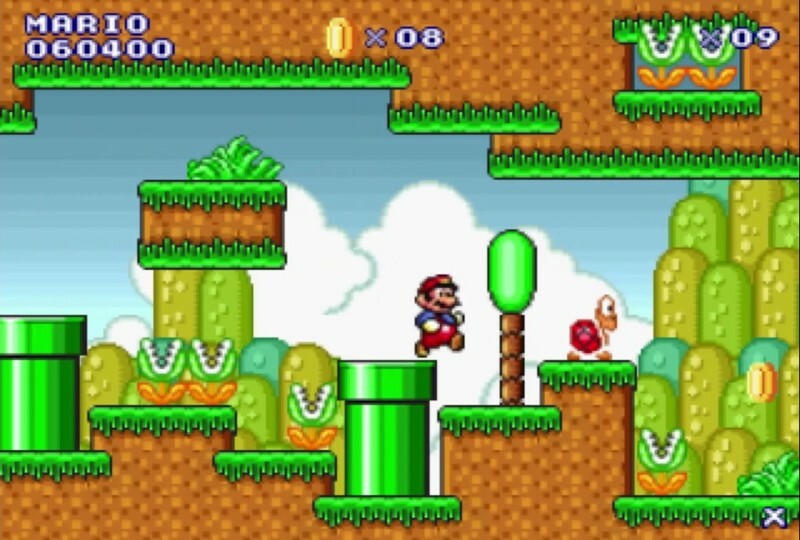 Having such a great success and because technology advanced really fast it was only a matter of time until small developers, that gain access to original Mario games assets by using tools such as decompilers over original cartridges or using their skills to draw it from zero, released their own versions of Super Mario games. 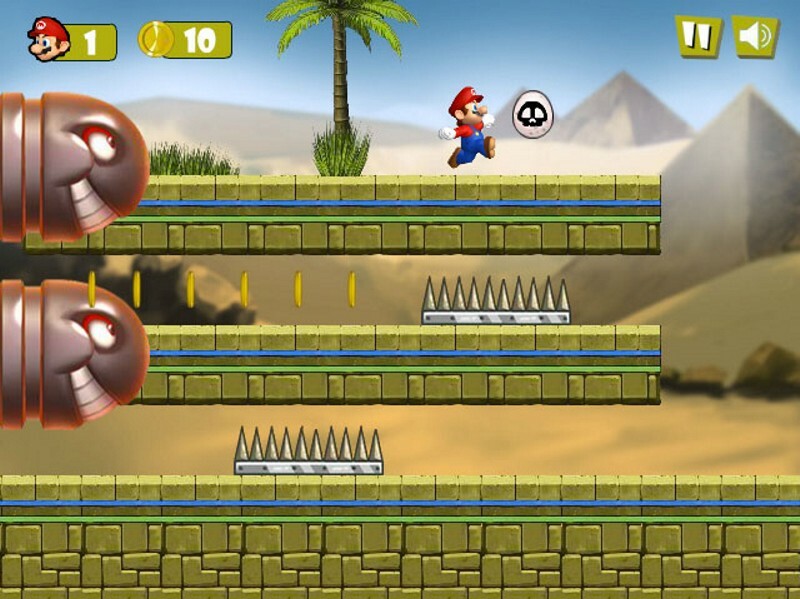 At first these fan made games were particularly available to download by forums and subnets, yet as the Interned evolved and flash games started to gain in popularity the number of unofficial Mario games released on the web managed to outnumber the original ones. Some of these fan made designs got quite popular among the free online games portals so here are the top 10 best unofficial Super Mario games that one can play for free directly in their browser. 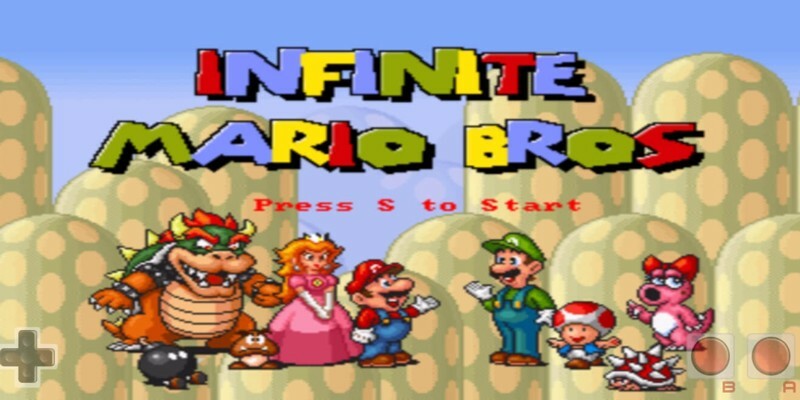 Infinite Mario Bros is a special type of game inspired by the original Super Mario Bros 3, a game that sits around the classic motive of damsel in distress a common factor present in almost all of the Super Mario platform titles. This game is said to be created by the same person that developed Minecraft, Markus Persson aka Notch so it now clearly becomes obvious for everyone that Infinite Mario Bros and success goes hand in hand. There are some rumors going on the internet according to whom, a second part had been recently launched, yet I haven’t got my chance to grab it by now. One of the first things that make this game stand out is the fact that when a life loss occurs restarting will get you prompted with a random generated map each time. Another great aspect is the fact that Infinite Mario Bros is mobile compatible so players can also enjoy it on their phone or tablet, aside PC. I never managed to get this game all the way through it’s finish by it sure does take the no. 1 spot on my favorite list. 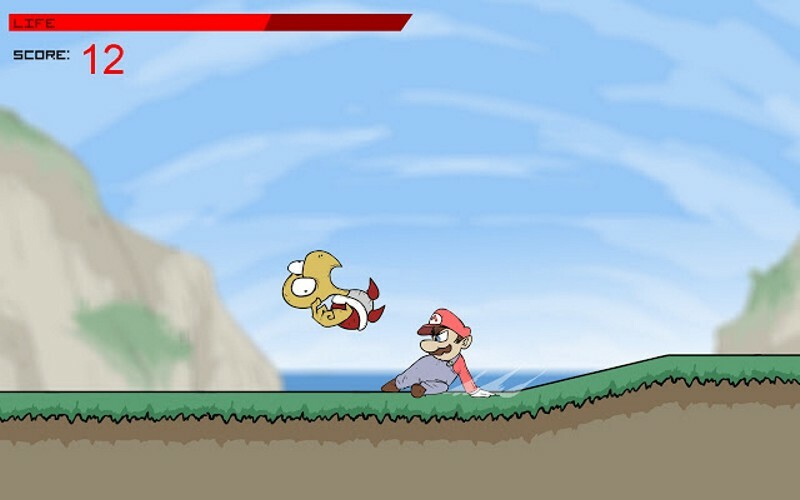 Super Mario Flash is among the first fan made games featuring the bellowed Italian plumber that was released over a decade ago, right at the time when internet browser based games started to gain in popularity. SMF was developed by Pouetpu, and it’s ased on the original Super Mario Bros. tile but also features some excerpts from the later SMB3 game. The fan made version offers a unique characteristic in the shape of a level editor to give the average user the power to create his own version of the game . SMF got to the hearts of many and still continue to receive updates such as reskins, hacks and all sort of other mods due to the increased number of people loving it. There are also several wiki’s dedicate to it where you can discover tons of related info. Making it to the hall of fame for best fan Mario creations the game also received a sequel and a 3rd episode. 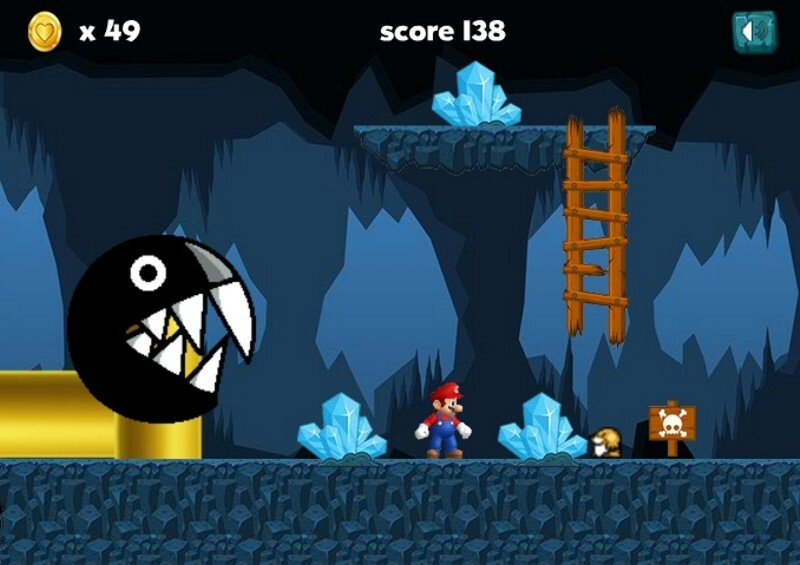 A fan made game known as Full Screen Mario or Super Mario Maker online as named by others was launched on a dedicated gaming portal 4 years before Nintendo released their own fantastic game surprisingly named Super Mario Maker. 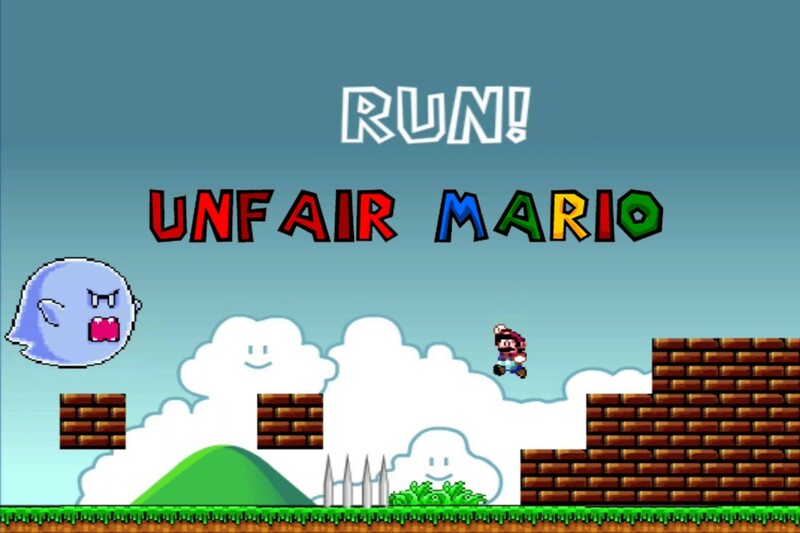 The Full Screen Mario websites was quickly brought down due to violations of copyrights, yet the game was already spread on hundred of websites, so it still continues to be played by thousands and thousands users everyday. Just like the SMF the Full Screen Mario offers a level editor, yet this one is a bit more advanced. 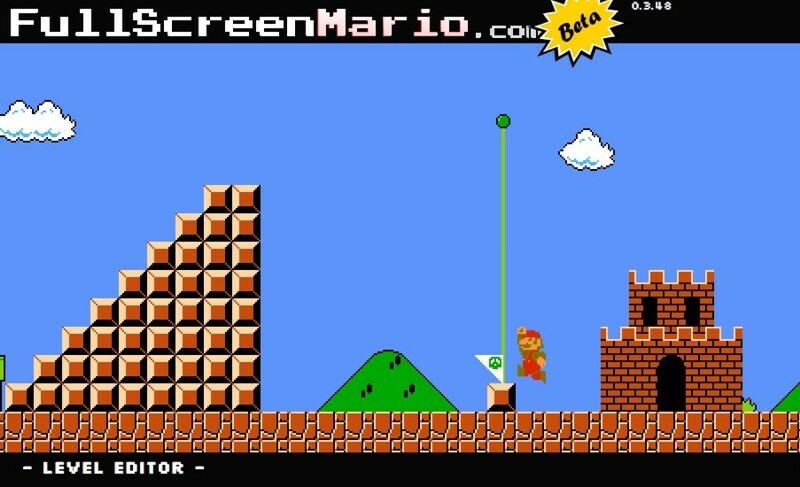 In fact this fan made creation is actually a version Super Mario Bros in html5 featuring an advanced editor. This is another fan made creation inspired by a popular also unofficial title called Super Mario fussion Revival, a game that perfectly fits into the running games niche. Although it’s a kind of short game featuring only 4 levels, playing it is really impressive and manages to keep you hooked until the end. If you need to know more about this game you can read a complete review of Ultimate Mario Run that I published some time ago. This is by far one the thoughest games to beat that one can play freely online as it’s a trial and error type meaning that you most probably lose a life or two or three or more before uncovering the safe path to follow while trying to complete a level. All the traps and obstacles are hidden either below the ground, in the air or over the suspend platforms and the only way you can pass over this kind of danger is to memorize each and every locations as a result of several restarts. The game acts more like a clone of Super Cat world Syobon Action, yet it’s a clone that got huge success over the years. It’s a saga of 3 episodes of classic jump and run platform games where the most beloved hero scout’s all over the world looking for the shine sprites that will help him defeat the evil monster Bowser. 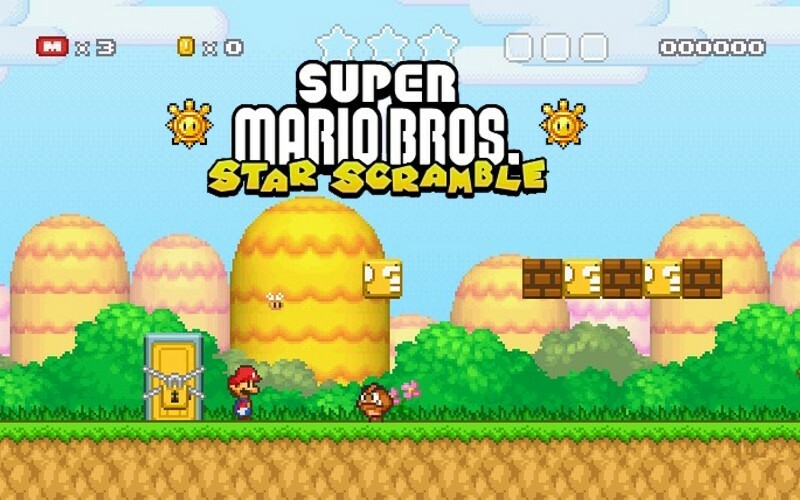 The games were create by a guy named Kenney Vleugels a ducht indie developer that also runs a website offering free game assets to download, The first Mario Star scramble game was released over 8 years ago and managed to get over 17 millions plays in 2010 only, so you can imagine the impact it had over the audience. It’s a remake of the original Super Mario Bros featuring playable characters from many other Nintendo games such as Zelda, Megaman, Ninja Gaiden, Castlevania, Contra and othersthat are so incredibly well integrated. Each of the selectable characters can make use his particular skills as they are available in their original games, so imagine a confrontation between a regular Goomba and a ninja master armed with a katana and shurikens, or against a though soldier using a riffle. 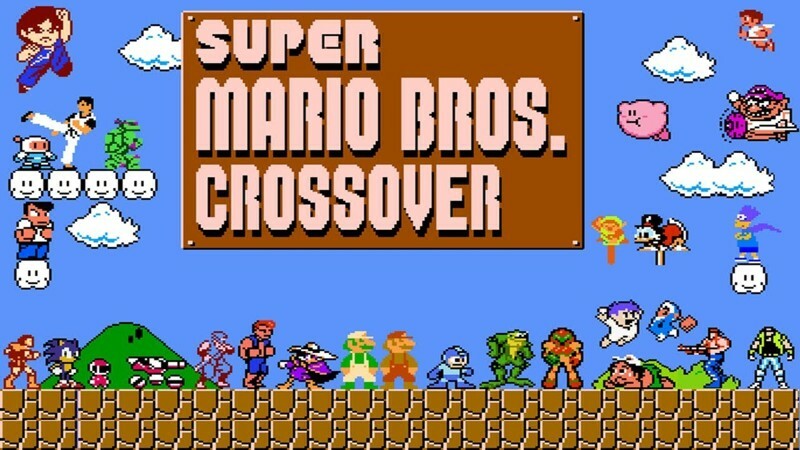 Well, it’s possible and Super Mario Crossover made it real so, enjoy. It’s a creation that I believe got inspired by the New Super Mario Bros – Egypt stage. 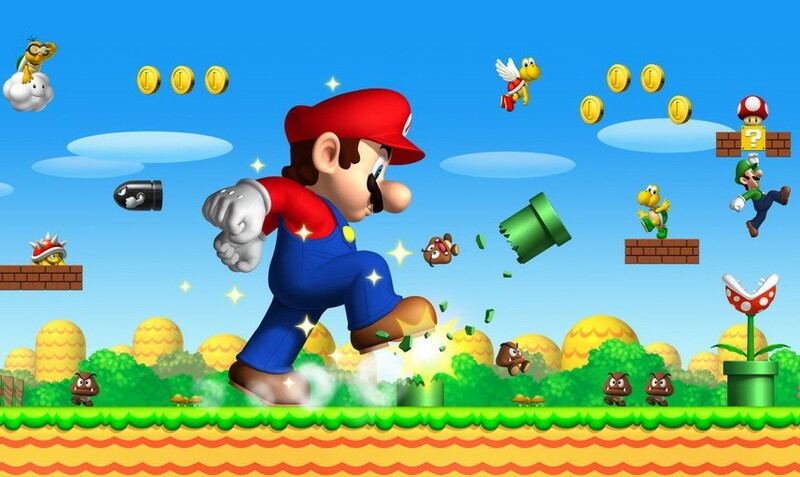 The game starts with a short animation that also set’s the plot, by presenting Mario as an explorer that somehow activates an ancient cannon. The cannon shoots and half screen gets flooded by 2 giant bullet Bills that will constantly chase after you. The game even includes zombies and mummies as villains and it’s really well build so it deserves to get a place in our top. 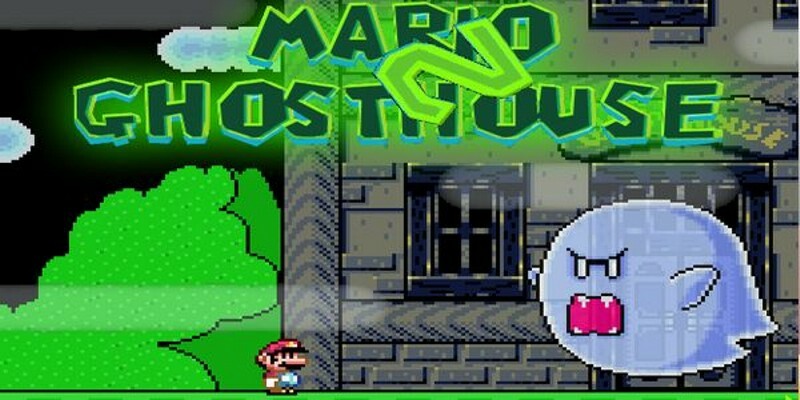 Mario Ghost House 2 is a fan made game that expands the spooky house section inside different stages of the Super Mario World original game, counting a total of 20 levels of classic platform action inside a haunted house stacked with deadly obstacles and lots of villains plus two bosses, The Phantom of Donkey Kong Jr. and Big Boo that seek revenge and will try everything from stopping our hero to find his way out from the doomed building. While playing try to keep a clear evidence of the corridors you scout as there will be plenty of doors that lead to nowhere or even worse inside rooms from which is really though to make it out in one piece.